Precast concrete is a durable and long lasting building product. Versatility, functionality and a variety of colours and textures of the precast concrete provide for numerous applications. APS has established a reputation for performance second to none in our industry. We assist you in selecting economical and attractive solutions to your cladding and structural needs and work closely with the design team to establish a budget that will not be exceeded. 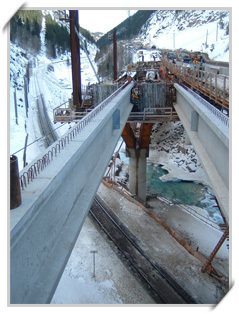 APS is a member of the Canadian Precast/Prestressed Concrete Institute. We are certified by the Canadian Standards Association (CSA) under CSA.A251, certified by the Canadian Welding Bureau under CSA.W186 and W47.1 and certified by the City of Seattle.